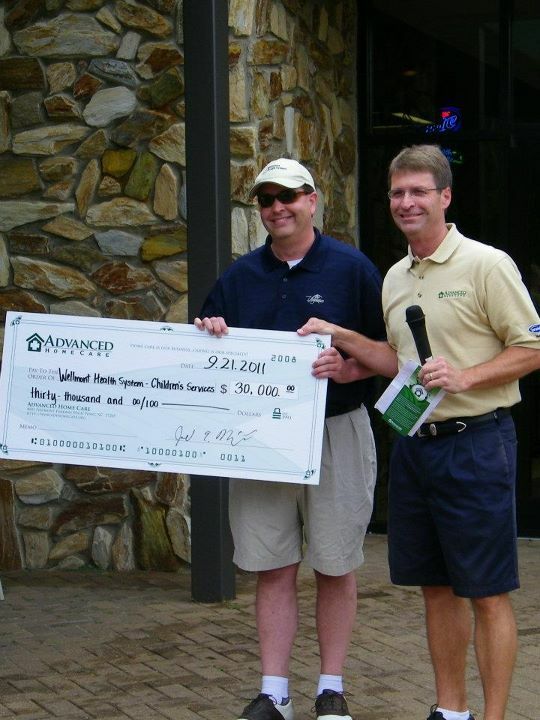 (Greensboro, NC, September 21, 2011) Advanced Home Care hosted its 18th Annual Charity Golf Tournament on Wednesday, September 21, 2011 at the Champion’s Course in Bryan Park in Greensboro. The proceeds of the event benefit two charitable organizations within Advanced Home Care’s service areas in the Tri-Cities region of Tennessee and Greenville, North Carolina – Wellmont Health System Children’s Services and the Ronald McDonald House of Eastern North Carolina. Wellmont Health System Children’s Services is comprised of board-certified pediatricians and pediatric specialists who offer some of the region’s most sophisticated healing technologies in birthing and neonatal intensive care, to adolescent care. The Ronald McDonald House of Eastern Carolina was created to provide a temporary home for families of seriously ill or injured children receiving treatment from area medical facilities. It is a place to call “home” that is close to the one they love without having to spend money and time traveling back and forth from their home and the hospital. 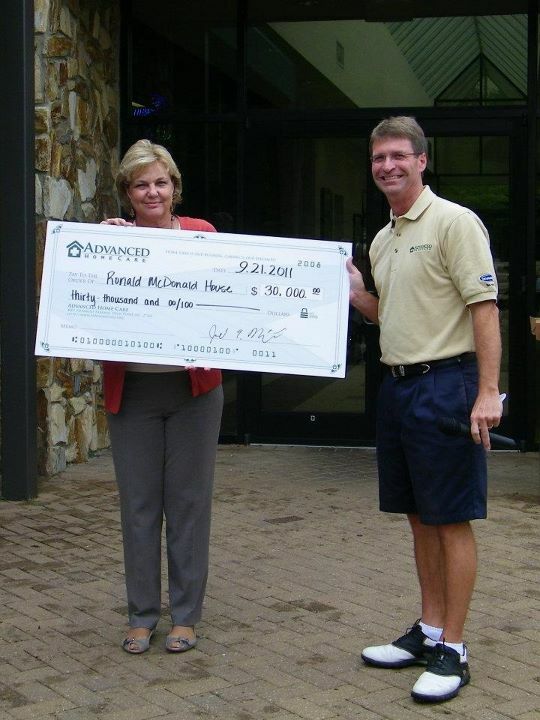 An impressive $30,000 was donated by Advanced Home Care to Wellmont Health System Children’s Services and the Ronald McDonald House of Eastern North Carolina, totaling $60,000 in contributions.